The Champney’s West Heritage Group Incorporated (CWHG) is a nonprofit public entity incorporated under the corporations act of Newfoundland and Labrador and headquartered in the community of Champney’s West. The main order of business is to promote the cultural heritage of the community and the region. The undertakings of the CWHG are charitable and beneficial to the community and the region. • The cultural heritage of the people, the history of the community and the methods and tools used to forge a living. • The relationship between past and present residents of the community with the marine ecology of the area and aquatic life found in the region. The present projects of CWHG follow two specific types of educational focused facilities; one is a traditional museum housing artifacts and genealogical data and the other is a public aquarium housing live aquatic life displays and data presentations relating to the marine ecosystem and environment. 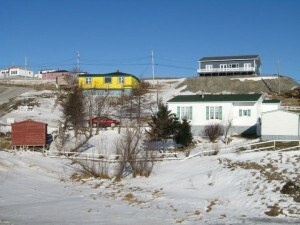 A focus of the public aquarium is to articulate the rich historical relationship between residents of Champney’s West and their dependency upon marine life. All activities of CWHG are targeted to help facilitate educational efforts and awareness of “the historical essence” of our coastal community and the Newfoundland marine environment and are designed to create value well into the future. CWHG is managed by a volunteer board of directors who are devoted to achieving the goals of the corporation. The board is composed of full time residents of the community, seasonal residents, persons whom are descendants of historical community families and persons from specific areas of expertise. The board of directors is responsible for overall management of the foundation, planning of undertakings, and execution of projects, budgeting and fiscal management, and related activities. Specific events and fund raising activities are carried out by enthusiastic volunteers from many walks of life and diverse professions, all of whom have an interest in promoting the community, our culture and the educational based initiatives of the foundation. The group is making steady progress and achieving milestones towards its overall objective. It has successfully developed and now operates the Ella Freeman Heritage House Museum, an initiative that began in 2008. The grand opening of the museum took place during the Champney’s West Come Home Year in 2010 at which time it was dedicated to the memory of Ella Freeman the mother of Dr. Marjorie Ragosta who generously donated the original building and genealogical data research that is the result of thousands of hours of her professional work. Since our successful Come Home Year and dedication of the Ella Freeman Heritage House in 2010, CWHG has been planning and conducting activities aimed at realization of another milestone goal, the development of the Champney’s West Aquarium. This exciting venture is expected to educate school children and visitors about sea creatures in our waters especially as relates to our cultural heritage. The aquarium will also generate additional trade and new aquarium-related businesses for our peninsula, and create local employment opportunities. We feel that the timing is right for this attraction and many agree with us. This project has confirmed support from Memorial University and the Huntsman Marine Science Centre in New Brunswick and anticipated support from both federal and provincial governments. Many volunteers have contributed time and funds to bring the aquarium to this initial stage. We are currently accepting donations in order to help make this dream a reality.